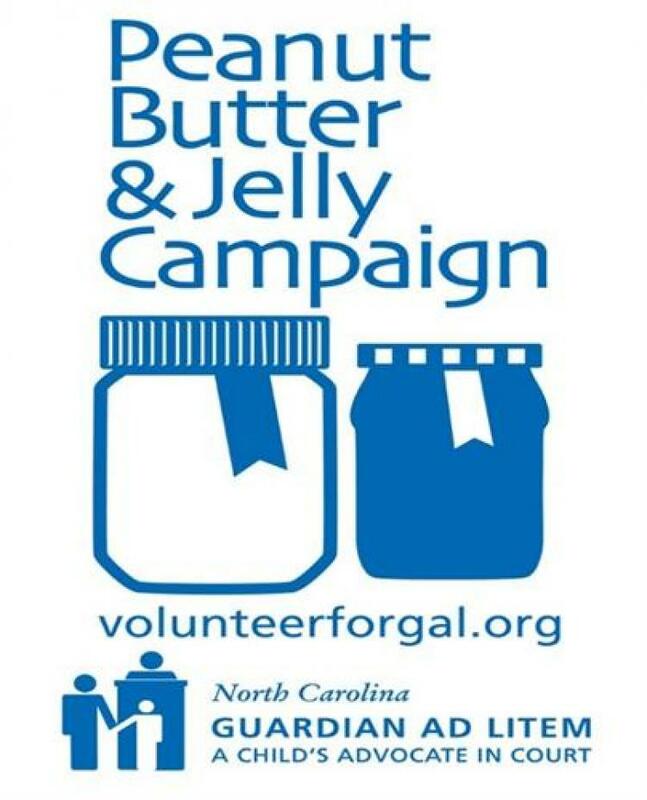 The North Carolina GAL program is going to collect plastic jars of peanut butter and jelly and donate them to area Food Banks in North Carolina. We are joining others in our nation in a project that honors service to others. There are 4 national events during our collection phase to help energize our PB&J campaign. We launch our PB&J campaign in October and we end in January. Our campaign will go through January 21st, 2019, the National Day of Service. Jars of peanut butter and jelly collected by our program will be donated to local food banks and pantries. This is our 3rd annual state-wide service project undertaken by the staff, volunteers, friends, and supporters of our program. For 35 years, we have represented the best interest of children in court. Much of the work we do is confidential in nature and therefore, our work is largely unknown outside of juvenile court. This project is a way for us to engage our communities in provisioning their Food Banks while at the same time highlighting who we are and what we do in a more public manner. Encourage your friends, family, local businesses, and places of worship, schools, and neighborhoods to get involved and participate. This will help Food Banks and provide awareness about the Guardian ad Litem Program.